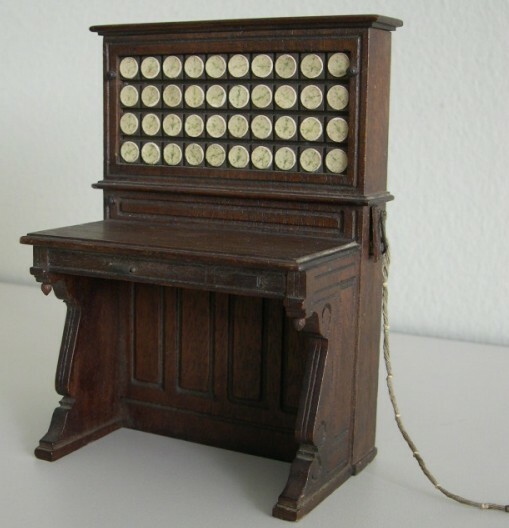 EarlyComputers: The Electric Tabulating Machine and Sorter: Salesman's Model. Information on the rarity of this item is unknown. 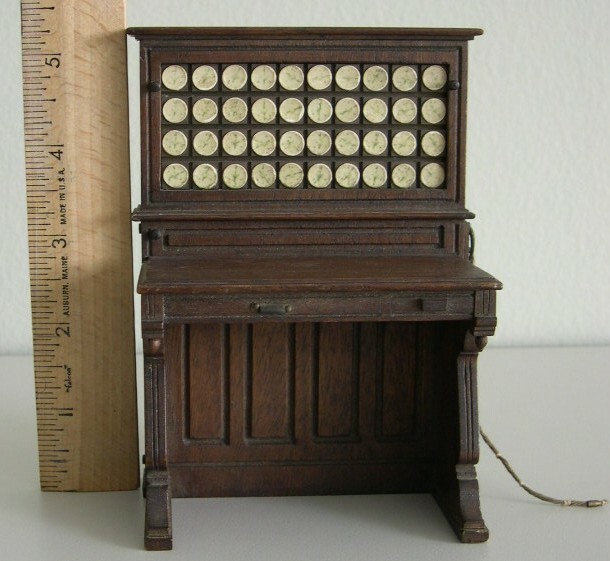 We haven't seen any reference to this item or anything similar so we are guessing that it was used by salesmen at the Hollerith Electric Tabulating Machine Company to show perspective buyers what the Tabulator looked like. 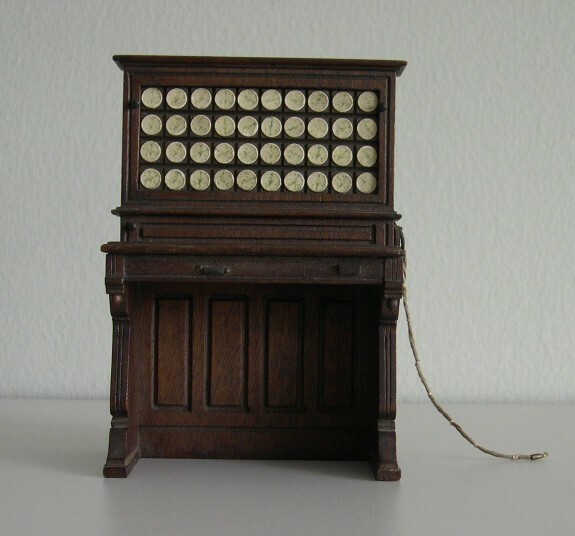 Hollerith's Tabulator was used to complete the 1890 Census in record time. 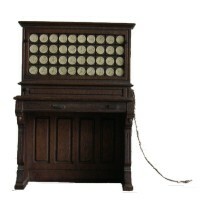 After his success with the 1890 United States Census, Hollerith sold his Electric Tabulating Machine to several industries including railways and insurance companies. Originally, the model would have had a small sorter on the right. The model still has the cables (threads in this model) that would have connected the tabulator to the sorter. Made of carved black walnut, it is a beautiful copy of the Hollerith Electric Tabulating Machine. There are no markings that indicate if the model also had a cardreader attached to the Tabulator. The cardreader would have appeared on the right hand side of the main shelf of the Tabulator. If you have any further information on this item, please contact us or leave a comment.